With the recent news of Advance Auto Parts relocating its corporate headquarters to Raleigh and the expansion of 435 jobs, this marks the first Fortune 500 Company to call Wake County home and demonstrates the power of the region. Advance Auto is on a mission to reignite its business and better utilize big data, e-commerce, technology, and analytics to serve its customer base. What better place to do this than in Raleigh and Wake County? 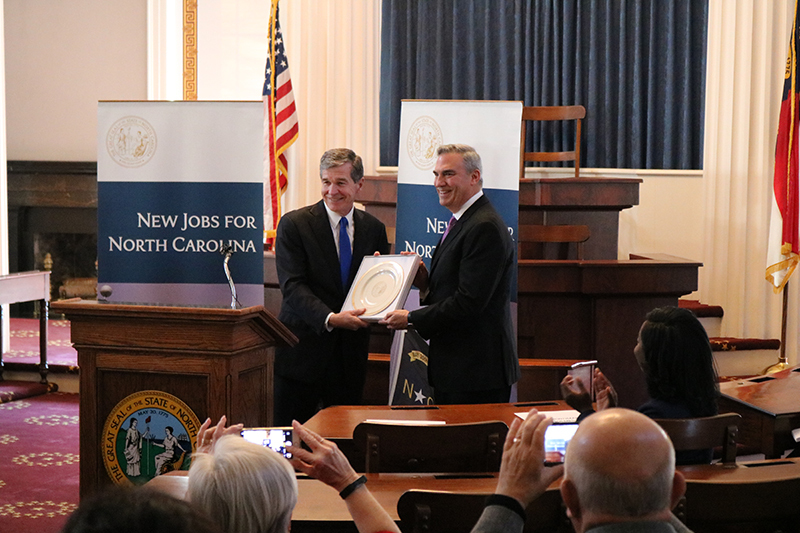 The company cited diverse talent, access to a superior higher education, and talent pipeline development resources as a few of the many reasons for the relocation and expansion in Wake County. This announcement is a strong demonstration of the strength and trajectory of this market, in particular the region's ability to support corporate headquarters. Wake County and the Research Triangle region are no strangers to corporate offices and companies that operate successful locations for worldwide brands. The region is home to a number of globally known companies, such as IBM, SAS, Lenovo, Martin Marietta, and foreign-owned firms such as GSK and Credit Suisse. They are all incredible examples of companies who thrive in Wake County and the Research Triangle region. Additionally, Pendo, a local startup cloud software company announced on Monday (Dec. 3) that it is officially designating Raleigh as its corporate headquarters and will bring 590 jobs to Wake County. More good news for this region. So what makes this region such a powerhouse for corporate business? Is it the region’s diverse industry base? The lowest corporate tax rate in the U.S.? Unmatched higher education options? Consistent growth? The exceedingly strong talent pipeline? Relatively low traffic congestion? A mild/temperate climate? Ability to attract and retain top talent? All of the above. But the decision to locate a corporate headquarters often comes down to two very specific requirements: talent and industry expertise. As is the case for Advance Auto and Pendo, companies often have a checklist of requirements for relocations or expansion. Often at the top of that list is finding the best talent and tapping into the existing industry in the selected area. For example, in the Raleigh Metro, 47% of residents 25 years or older have a bachelor's degree or higher. The tech industry in Raleigh has grown by 56% in the last ten years (2008-2018) and is projected to grow by 22% in the next ten years (2018-2028). To back up the strength of the region, Forbes recently named North Carolina as the number one best state for business and Raleigh as the number two best place for business and careers. Other key requirements that companies must consider when making a relocation or expansion decision are the location and the quality of life. Can and will the workforce thrive in the selected location? Will the location be attractive and easy to sell? The workforce today looks much different than it did ten years ago. That workforce has needs that companies want to meet. Those needs are easy to meet in a place like Wake County and the Research Triangle. The quality of life is very rich and fulfilling while avoiding the perils most metros experience such a high cost of living and congestion. The setting of the region is unique in that there is a living situation that fits almost every lifestyle within miles of the Triangle’s urban core. There is room to live, travel time to and from is relatively short, entertainment options are endless, as are food and beverage stops, and the state offers both water and mountain landscapes. While the success of Wake County and the Research Triangle region hinge on many things, announcements from a Fortune 500 company and a homegrown Raleigh startup open a new chapter to the story. This chapter will further show how both startups and Fortune-ranked companies can thrive in our region. This chapter will be our best one yet.